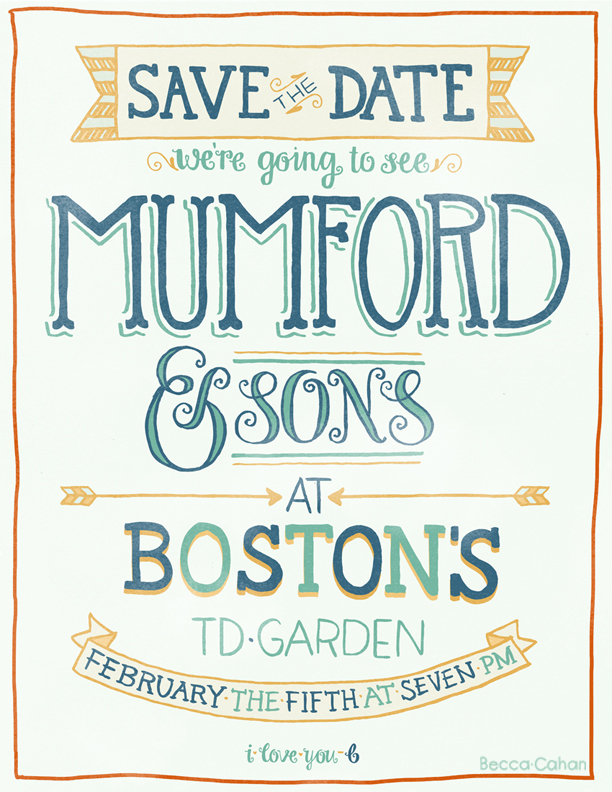 Digital hand lettering for a save the date note for a mumford and son's concert at Boston's TD Garden in 2013. A self-initiated project, this piece is dear to my heart as a holiday gift for my boyfriend. We both have a serious love for Mumford & Sons.